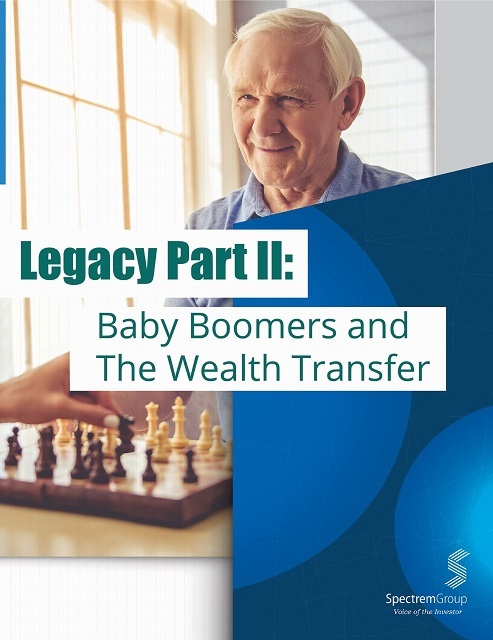 The second edition in Spectrem’s Legacy series will focus on affluent Baby Boomers planning their own wealth transfer and the mindset they had upon receiving an inheritance from their parents or others earlier in their life. This report will focus on any planning they have done, their core values regarding wealth, and who they turn to for advice. The report will include a discussion of charitable donations, specific types of investments they believe enhance their planning, and other pertinent issues. How is their portfolio currently invested? What changes will they make as they age? Who do they rely on more ... their financial advisor, their attorney or their family members? What role does each play in their decision-making? Do their children or other beneficiaries know about their plans? In addition to the quantitative research with wealthy households, qualitative focus groups will be conducted to further enhance the research.